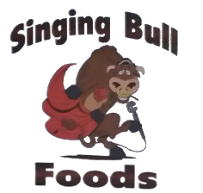 Enjoy a joyful jumble of fruity flavors with Singing Bull Foods. Have a generous serving of our apple butter or blueberry jelly on bread or pastries. Satisfy your palate with a fine interplay of sweet and sour flavors. Garnish comfort food with sweet pickle relish and devour its divine goodness. Snacking will never be the same when you dip fried food and chips in our homemade salsa mix. Tempt your taste buds and grab a big bite now. Singing Bull Foods in Hohenwald, Tennessee, makes homemade jam, dipping sauce, relish, and salsa. We have more than 40 years of experience in bringing out the flavor in every food through our handmade fruit products and condiments. We have sugar-free jams and jellies available for any kind of dietary need. We also accept requests from customers who want a different variant or mix. Singing Bull Goods is a nut and wheat-free facility. Flat rate for shipping is $5.99. If you're not satisfied with our products, Singing Bull Goods offers a money-back guarantee. Contact us in Hohenwald, Tennessee, to have an unforgettable dining experience with our homemade jam and dipping sauce.